This Tasty Orange Cranberry Muffin Recipe is big on flavor with a great texture! This is my favorite Orange Cranberry Muffin Recipe. I’ve tried quite a few over the years and this one is a culmination of those trials. I have taken an ingredient from here and another from there, added a couple of extra steps and came up with what I consider a superior Orange Cranberry Muffin Recipe. The sour cream in this recipe adds an extra layer of tangy flavor and richness to this recipe. Cranberries and Fall go together! Here in New England fall means cranberries. That is when the cranberry bogs are flooded and the cranberry harvest begins. We New Englanders always have a whole slew of cranberry recipes in our fall recipe box from jellies to jams to relish and endless list of bake goods. Here on the blog we have a number of recipes that are listed at the end of this article so enjoy. Baking these Orange Cranberry Muffins is a great recipe for the beginning baker. 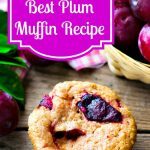 If you are a beginning baker, this Orange Cranberry Muffin Recipe is easy and a great beginner recipe. As with all baking, pay close attention to your measurement, temperature and time. More than any of the culinary arts, baking is more science than art. Baking relies on chemical reaction of the leavening agent, timing of the baking time and correct temperature to give you the expected outcome. Don’t be afraid of baking but be respectful of the instructions and measurements and you will do great. 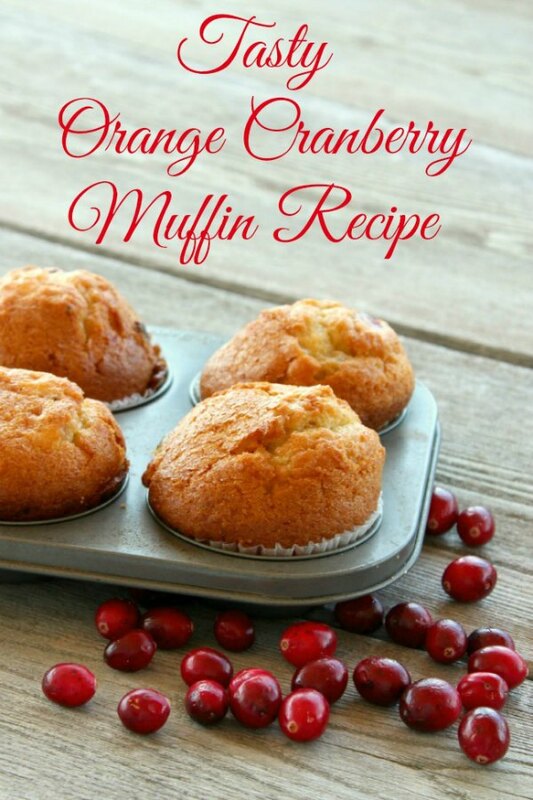 I use fresh cranberries for this Orange Cranberry Muffin recipe, not the sugary dried ones. They are easily obtainable at the market year round and I don’t worry that the recipe doesn’t use the whole bag. You can freeze the extras but they also store for a long time in the vegetable draw. But these muffins are so good you’ll be repeating this recipe and using them all up before they go bad, trust me! Spray a 12 count muffin pan with cooking spray. Using a mixer, stand or handheld, cream the butter and sugars together thoroughly,Scrape the sides of the bowl. Add the eggs, sour cream, and vanilla and mix for 2 minutes on high speed till well combined. Lower the speed to Low and add the orange zest. Beat until combined. In a separate bowl combine the dry ingredients – flour, baking soda, baking powder, cinnamon, and salt. Combine thoroughly using a wooden spoon or spatula. Using a whisk to gently stir, slowly add the dry ingredients to the wet ingredients. Add orange juice and milk, and continue to slowly stir with whisk. There will be small lumps and this is PK in a quick bread such as this. Dust the cranberries with some flour. This helps to keep them from sinking to the bottom of the muffins. 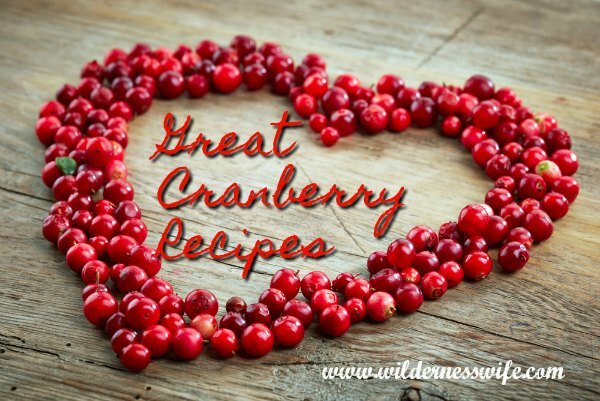 Add cranberries to batter and gently mix in with a wooden spoon or spatula. Fill the muffin tins with batter. You can use paper muffin wrappers if you want. They can make them look more festive. Put muffin in oven. Bake at 375F for 5 minutes, then reduce to 350F for 15-18 minutes. Muffins are done when a toothpick inserted into the center come out clean. Let cool in pan for a few minutes. I thought this was really good because I love cranberries and they are not super sweet. My husband is not a huge fan of cranberries and they really overpowered this recipe. I will use less next time or cut the cranberries up instead of leaving them whole. Also, mine did not puff up at all like this picture. Followed the recipe exactly and they barely puffed up at all. “Puffing up” can be affected many things…….age of the baking powder, humidity, altitude you live at. Baking is a science project. The more you bake the more you learn. I treat each recipe as an “experiment”. I’d try a little more baking powder, and make sure its fresh. I use “aluminum free” as you won’t get a metallic taste when you increase it. Baking is a science and dependent on your altitude you may need to add a little more baking powder. 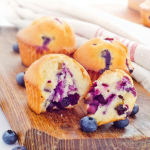 These muffins look so delicious and so different from the usual blueberry muffins I usually make! Oh this sounds fabulous for a saturday morning brunch! Thanks for sharing on Weekends Bites! That looks delicious! I will have to try it one of these days. Your photo will be featured on OYGIF this weekend. Hope you could drop by. I’m glad you liked it and hope you try the recipe. 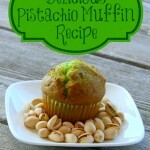 They are one of my favorite muffins- very tangy and fresh tasting.